A rich and creamy bowl of chicken ramen, spiked with miso and dried-fish powder. This bowl of ramen features a creamy and rich chicken paitan broth flavored with a tare, or seasoning, made from a mixture of red miso, soy sauce, sake, dried fish, kelp, and fresh red chilies (optional). Apart from other optional toppings, like braised pork belly and a marinated soft-boiled egg, this bowl of ramen is garnished with chili gyofun (dried-fish powder), finely diced white onion, sliced scallions, and lime. 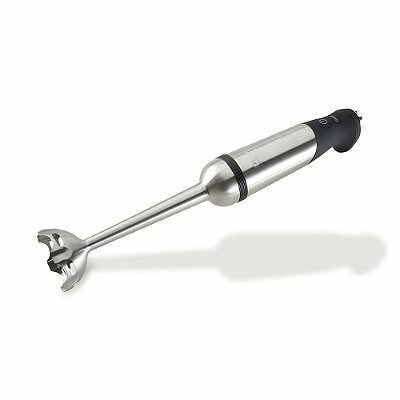 To fully disperse the tare in the broth, we recommend using an immersion blender (see note). You can also use a whisk to incorporate the tare. Seasoning the rich and creamy broth with a combination of miso and soy sauce tare creates an incredibly complex and savory broth. Blending the broth in the bowl with an immersion blender ensures the broth stays piping-hot and emulsified, and creates appealing bubbles of froth. Adding the gyofun at the last minute allows the diner to taste the broth before and after the fish powder starts to change the broth's flavor. For the Gyofun: Place dried chilies (if using) and katsuobushi in a pan and set over medium heat. Toast until fragrant. Using a spice grinder or mortar and pestle, grind toasted chilies and katsuobushi to a fine powder. Set aside. For the Miso Tare: In a small bowl, stir together shoyu tare with miso paste and sliced fresh chilies (if using) until thoroughly combined. Set aside. To Assemble the Ramen Bowls: Bring paitan broth to a boil. Bring a separate large pot of unsalted water to a boil. Add one ladleful of boiling water to each serving bowl to warm the bowls. Place noodles in pot of boiling water, stirring vigorously to prevent clumping, and cook as directed on packaging or as directed in recipe. Meanwhile, empty serving bowls of warming water. Place half of miso tare mixture and half of aroma oil in each bowl. Top each with 1 1/2 cups (350ml) boiling paitan broth. Using an immersion blender placed directly in each bowl, pulse the mixture 2 to 3 times, until broth is mixed and somewhat frothy. (Before beginning to assemble the bowls, it's a good idea to fill one with an equivalent volume of water and check that the liquid won't spill over when blended; see note for more info.) Alternatively, you can use a whisk to blend the broth, tare, and aroma oil in each bowl. Strain cooked noodles, shaking off as much excess water as possible, and add a portion to each bowl of hot broth. Using chopsticks, lift noodles up out of the bowl and fold them over, back into the broth. Garnish with any desired toppings, such as pork belly, a halved egg, and/or nori sheets. Garnish with diced white onion and sliced scallions. Add 1 teaspoon chili gyofun (or more, if you like) to each bowl. Serve immediately, with lime wedges alongside. To ensure that blending the broth in the bowl does not lead to spills or other mishaps, we suggest that you do an initial test run, using water, in the serving bowl of your choice. Add 1 1/2 cups (350ml) water to the bowl and pulse the blender. If water spills out of the bowl, you will need a bigger bowl or a less powerful blender, or you will need to use a whisk. The chili gyofun can be stored in a sealed, airtight container for up to 1 week. The miso tare can be stored in a sealed container in the refrigerator for up to 1 week.